My name is Michael C. Hughes, but everybody calls me Mike. 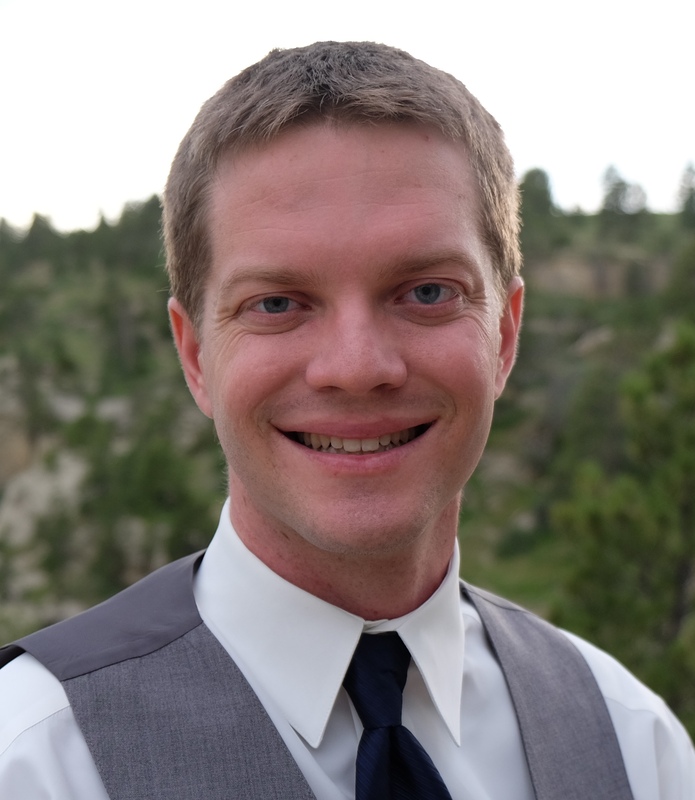 Michael C. Hughes ("Mike") is an Assistant Professor of Computer Science at Tufts University, starting in August 2018. Previously, from 2016-2018 he was a postdoctoral fellow in computer science at Harvard's School of Engineering and Applied Sciences (SEAS), advised by Prof. Finale Doshi-Velez. He completed a Ph.D. in the Department of Computer Science at Brown University in 2016, advised by Prof. Erik Sudderth. 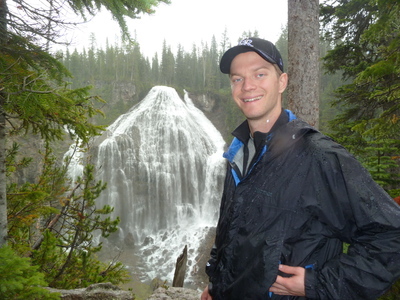 Mike does research in statistical machine learning and its applications to healthcare. His goal is to develop predictive and explanatory models that find useful structure in large, messy datasets and help people make decisions in the face of uncertainty. His research interests include Bayesian hierarchical models for sequences, networks, and images; optimization algorithms for approximate inference; model fairness and interpretability; and semi-supervised learning. Active projects include helping clinicians understand and treat depression or infertility by training personalized drug recommendation models based on thousands of electronic health records observed from previous patients. You can find his papers and open-source code on the web at www.michaelchughes.com. 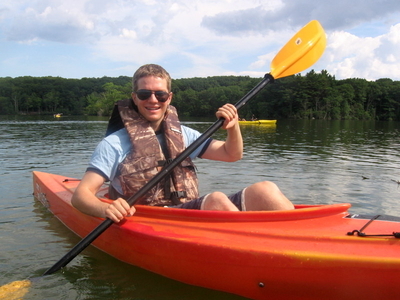 Outside of computer science, I enjoy hiking, kayaking, skiing, fishing, and other adventures in the great outdoors. 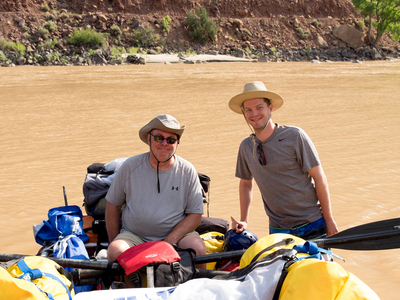 Rafting trip with my dad on the Green River. August 2017. 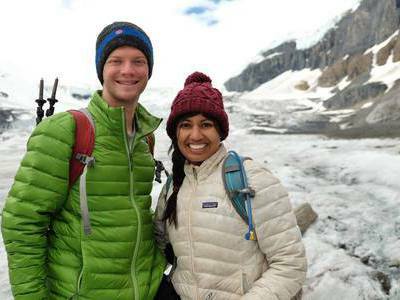 Hiking Athabasca Glacier with my wife Heena. July 2016. 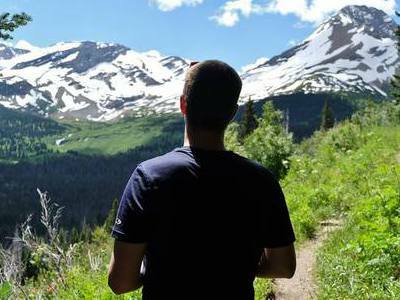 Backpacking Gunsight Pass trail. July 2016. 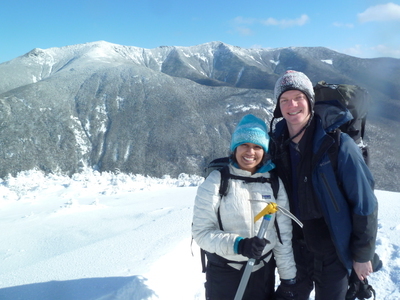 Winter hiking Cannon Mountain with my wife, Heena. January, 2013. Backpacking trip to Union Falls. August, 2014. 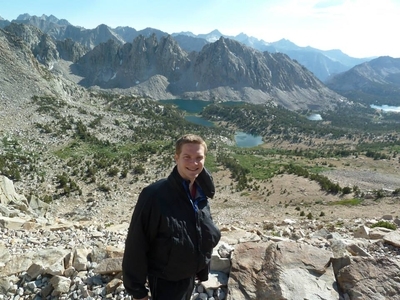 Backpacking trip to Kearsarge Pass (11,600 ft). July, 2013. 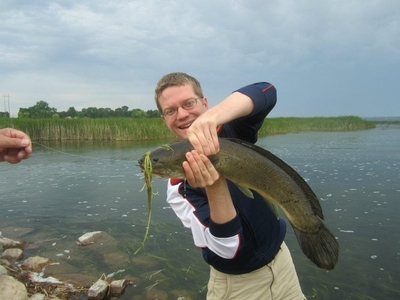 Catching a giant bowfin dogfish. June, 2012. Kaying in Narragansett Bay. Summer 2012. 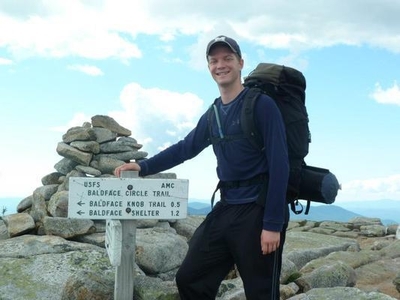 Backpacking at South Baldface peak. Summer, 2012. I currently live in Cambridge, Mass. (2013-present). Before that (2010-2013), I lived in Providence, RI while a graduate student at Brown. Before that (2006-2010), I was an undergraduate at Olin College of Engineering, in Needham, MA. I'm originally from Billings, Montana. I completed all my primary and secondary education in the public school system (Boulder Elementary, Will James Middle School, and Billings Senior High School).